It goes by many names, but Hand-Arm Vibration Syndrome (HAVS) is a debilitating condition from which tens of thousands of workers suffer each year. HAVS, also called white finger syndrome or dead finger syndrome, is caused by repetitive use of vibrating tools or machinery. Indeed, workers who suffer from HAVS most commonly are construction workers, factory workers, loggers, mechanics, and others who work with machinery or vibrating tools. When HAVS reaches its more serious state, workers may no longer be able to perform their job, let alone tie their shoes or open a package of food. HAVS sufferers should consider consulting with an attorney at the very onset of this debilitating condition and focus on treatment, rest, a change in position at their place of work, or possibly vocational training for a new occupation altogether. Regular use of vibrating tools, equipment, or other machinery can cause adverse sensory perception in the fingers and hands such as coldness, pins and needles, loss of coordination, and numbness. These are some of the earlier stages of HAVS or white/dead finger syndrome. As the condition worsens, muscle weakness, severe aches and pains, permanent numbness, loss of function of hands or fingers, and discolored white fingers (called Raynaud’s phenomenon) may occur. Some workers suffer a number of these symptoms in their arms, in addition to their fingers and hands. While the direct mechanism is not known, HAVS is believed to be caused by the continual micro damage of small blood vessels and nerves within the hands. It may be possible to prevent HAVS from worsening by holding hand tools more loosely or in varying positions, taking regular breaks and not using a tool for more than 10 minutes at a time, not using vibrating tools unless absolutely necessary, keeping your arms and hands warm and dry while at work, refraining from smoking, and ensuring that the tools you do use are well maintained. 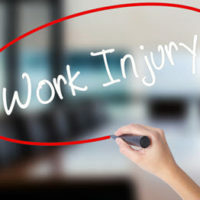 According to research published by the University of British Columbia, the average HAVS claimant waits for a long period of time before filing a workers’ compensation claim. While most workers begin having problems in the middle years of their lives after a few decades of labor, the average employee waits five years before filing a claim. What this means is that, on average, these employees suffer with HAVS for five years before speaking out. The authors of this research paper found that the debilitating symptoms for their HAVS study group became much worse during this five-year period, and that permanent damage was common. If you are suffering from HAVS, call the West Palm Beach workers’ compensation attorneys of the Celeste Law Firm today at 561-478-2447. We can help you with your case.